One Of The Few Mega Evolved Pokemon I Would Care About. And You? 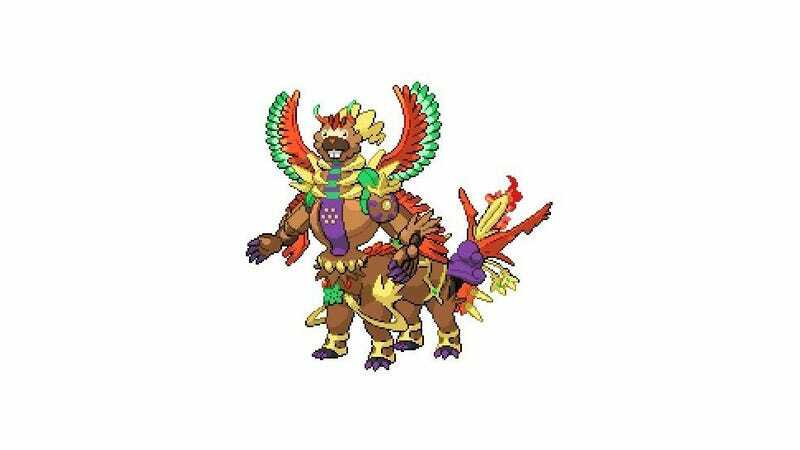 To be clear, this isn't a Mega evolved version of Bidoof, although it should be. It's just a meme that was created by That Splicing Adventure; Bidoof mashed with every (other?) legendary in the Pokemon games. 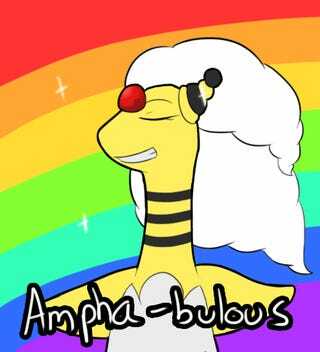 Glorious, yes, but probably not something Game Freak would ever make a reality. Unfortunately! Still, now that we know what the deal with Mega Pokemon are—temporary evolutions that are kind of like power-ups, as they can only happen in-battle—one can't help but think of the possibilities when it comes to Mega Pokemon. Aside from the few that have been revealed—Mewtwo, Absol, Blaziken, Lucario, Ampharos—who else could use a mega evolution? Immediately we'll think of silly Pokemon, like Bidoof, sure. Who else? Hate to rain on the parade, but we probably won't see a Mega Magikarp. One: that's Gyarados, dude. Two: it seems like they're only doing Pokemon at the end of an evolution chain. Anyway, feel free to respond with ideas if not photoshops. Super Saiyan hair on Pokemon is okay, as are silly takes on mega evolutions. Example: what's a Mega Electrode? A masterball, of course. Who would you like to see as a Mega Pokemon?